Thanks so much for stopping by for some gift-giving inspiration. 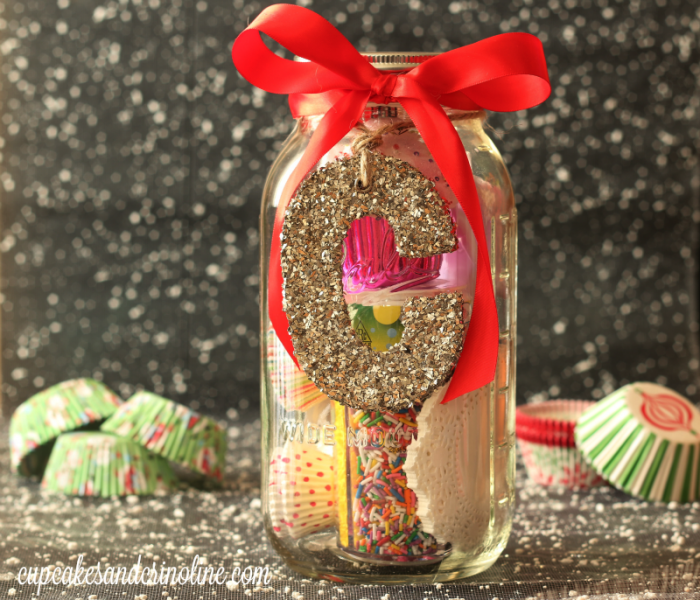 Today, I’m sharing a Cupcake Lovers Mason Jar! 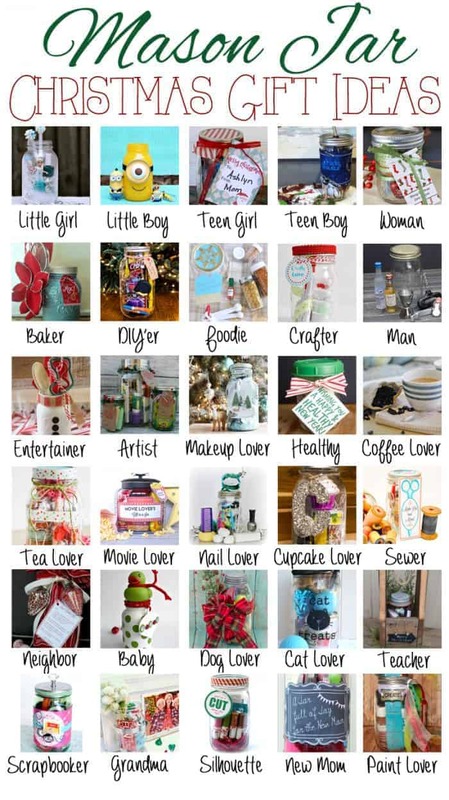 Get ready to start crossing names off your gift-giving list once you see all 30 of these Mason Jar Christmas Gift DIY’s – these are great not only for Christmas but for year-round gift-giving so be sure to pin it so you have it to refer to anytime you’re in a gift-giving pinch. 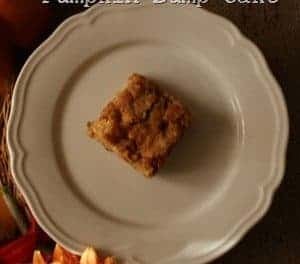 Twenty-nine other bloggers and I have gotten together to bring you ideas to help get you ready for the holidays. 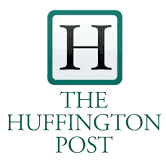 Scroll to the bottom of this post to click through to the other bloggers. 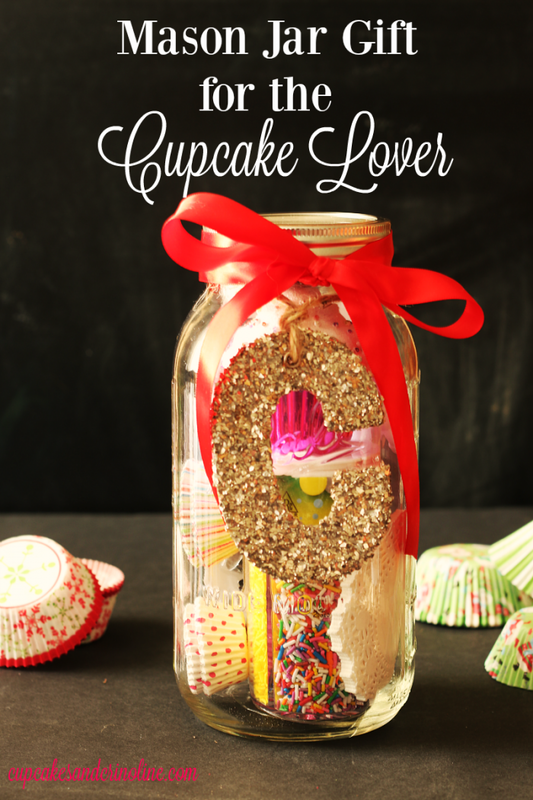 I’m sharing gift ideas for the ♥cupcake lover ♥. 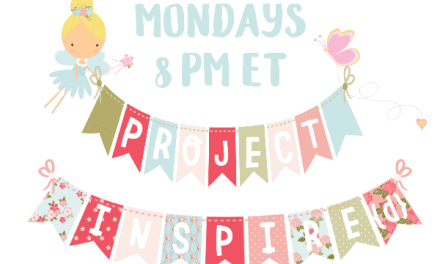 I found most of my items at Michaels and Home Goods but I have included affiliate links with the same or similar products available at Amazon for your convenience. Once I had everything together I started to place it all in my jar. I placed the Jimmie container in first since it was the largest, heaviest and most colorful and then started placing the other items behind and around it. I couldn’t include the largest of the batter spoons but if I were giving this as a gift I would give it to the gift giver separately (along with an explanation!). 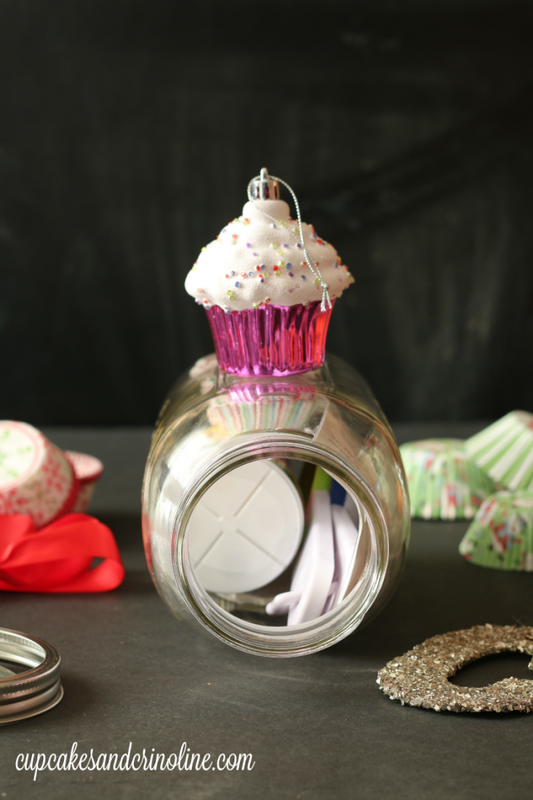 Once all of the baking items were in the jar I placed the cupcake ornament on the top of the stack. I put on the lid and tied on the monogram ornament and a red satin bow for good measure. In less than 5 minutes I had my gift all ready to give! 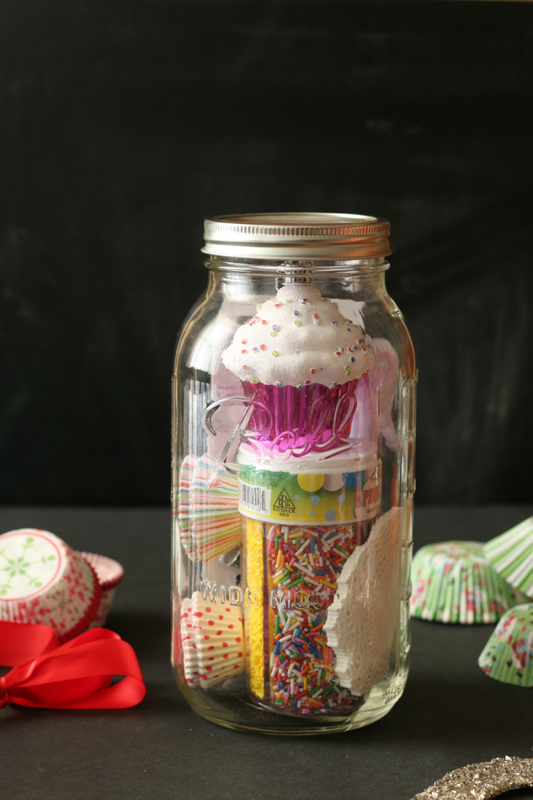 *Batter spoons are great for measuring the perfect amount of batter into your cupcake wrappers and ensuring that all of your cupcakes are the same size. 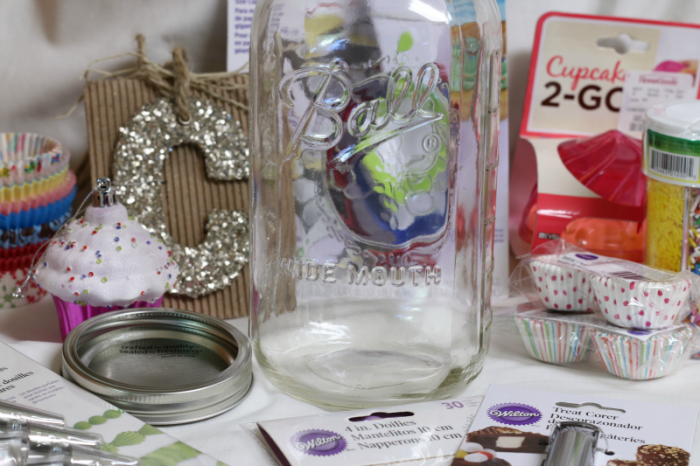 Be sure to visit all of the awesome bloggers below for their Mason Jar Gift Ideas!